idcloak releases a public China proxy service that protects foreign buyers from suffering country-based price prejudices. 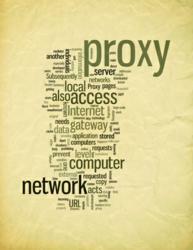 idcloak has published a searchable database of free proxy servers located in the People’s Republic of China. Every IP address in the list represents a public portal into the internet through China without divulging the user’s actual foreign location. Applications for proxy anonymity are many and varied, but idcloak suggests foreign companies seeking Chinese suppliers have the most to benefit from the Chinese proxy list. Connection to a proxy allows buyers to bypass IP-based price prejudices on a Chinese site and learn what prices the firm is offering to domestic clients, as well as to those from other foreign countries. The idcloak list is kept up to date by an automated checking system that ensures all proxies displayed are operational. The same checker also provides performance, security and anonymity information on each proxy so that users have full control over the type of servers they choose. The list’s filter menu allows users to search under performance criteria or for specific types of servers, such as HTTP for general browser tasks or SSH if a user wishes to anonymize their Skype communication. The list of Chinese proxies covers almost 300 proxies based in major cities right across the country, and the user may also use the filter menu to find proxies from numerous other countries. “The list is the quickest, free means of how to change your IP address to China or almost any other country in the world,” says Welles.